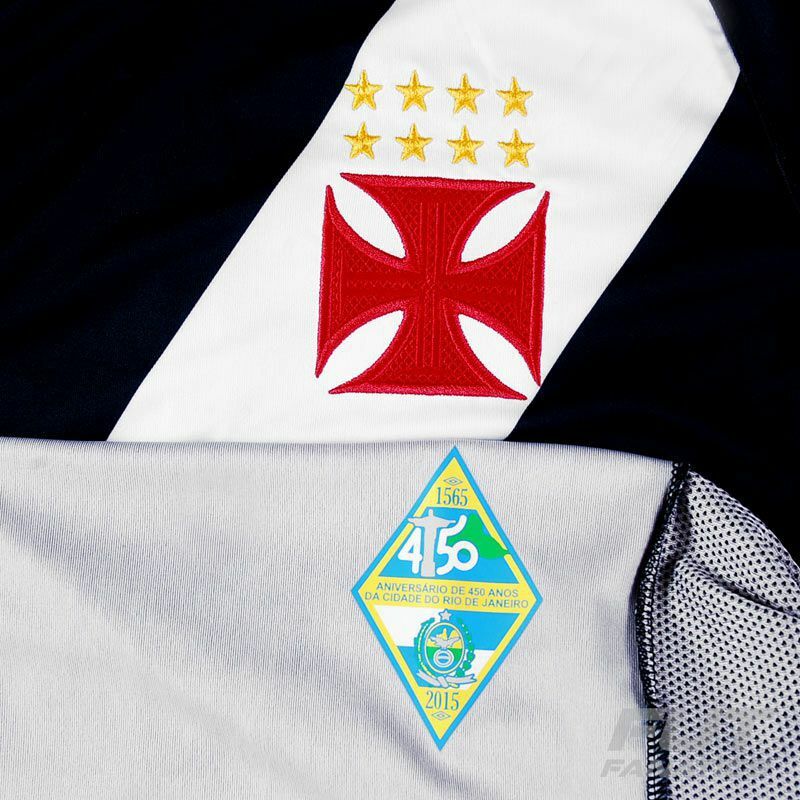 The Umbro Vasco da Gama Home 2015 Jersey celebrates the 450 years of Rio de Janeiro and the club's 100 years of soccer. 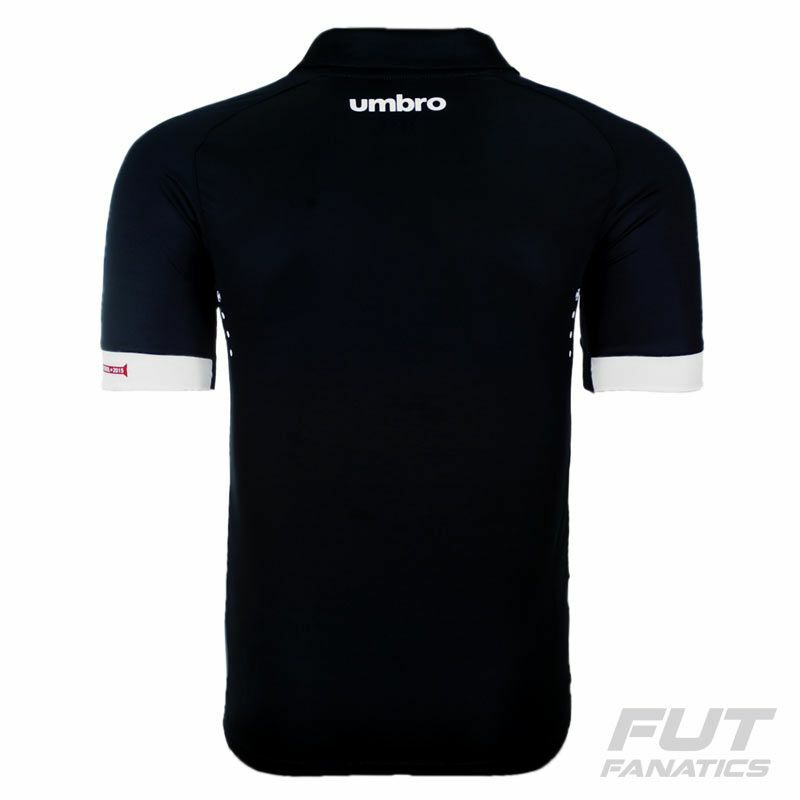 The shirt is black with the traditional white diagonal stripes and the badge of the team stamped on the chest. More info. The Umbro Vasco da Gama Home 2015 Jersey celebrates the 450 years of Rio de Janeiro and the club's 100 years of soccer. 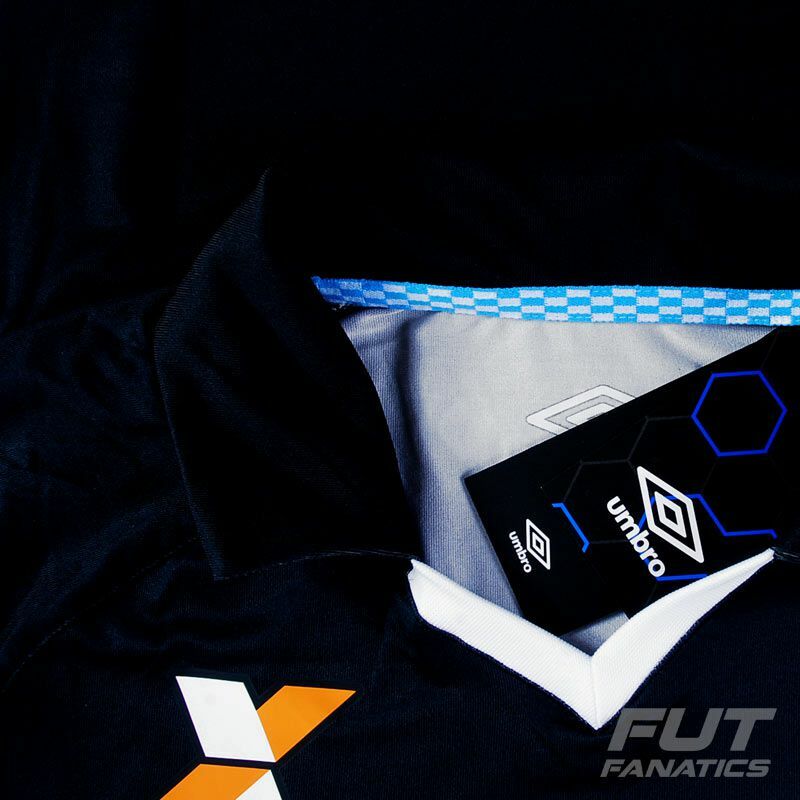 The shirt is black with the traditional white diagonal stripes and the badge of the team stamped on the chest, next to the symbol of the brand. 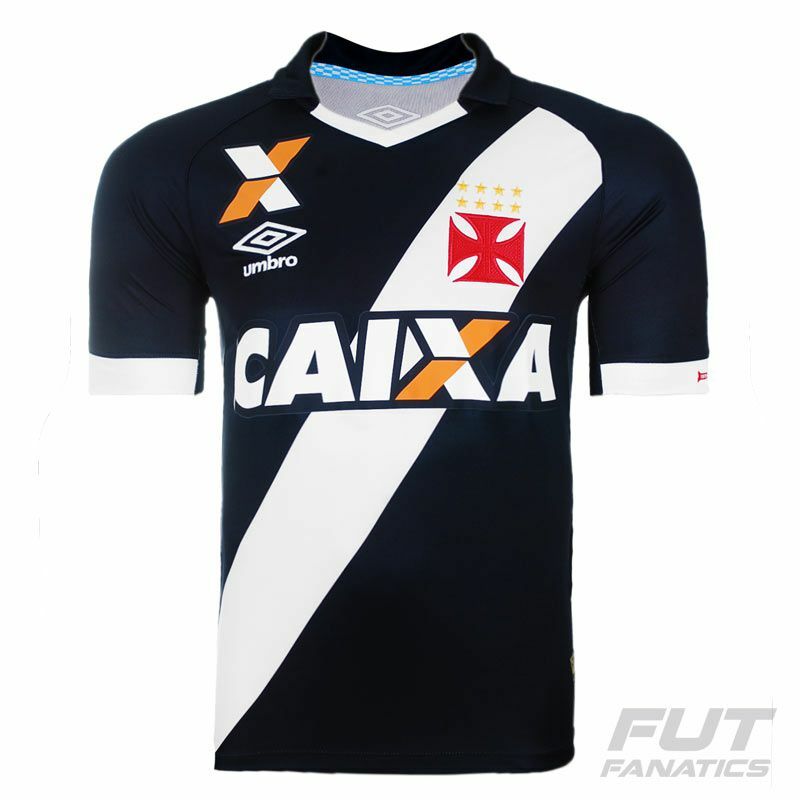 In the inner part of the collar, a blue and white detai honors Rio de Janeiro, and on the left sleeve a printed banner celebrates the centennial of the team. The collar is polo and the piece has mesh strips on the sides for ventilation and breathability of the body.